MGC Pharmaceuticals today revealed that its European subsidiary, MGC Derma, has penned a strategic distribution agreement with renowned online cosmetics store, Cult Beauty. Available to consumers worldwide, the deal will see 15 of MGC Derma’s cosmetics products sold on the Cult Beauty site, as well as its Derma Plus skincare range. Cult Beauty will run a six-month exclusive sales campaign on these products. MGC Derma’s cosmetics will officially be launched by Cult Beauty on February 1. Revenues from the deal in 2018 will be dependent on product sales and the six-month campaign. Cult Beauty is a UK-based online beauty store that specialises in selling cutting-edge and hard-to-find beauty products to consumers around the world. 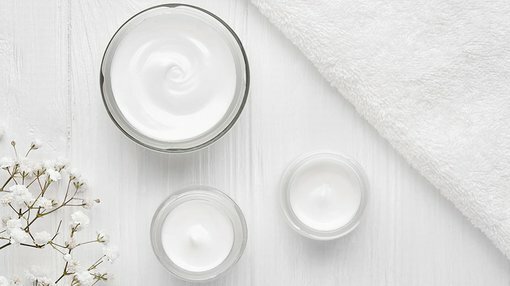 Cultbeauty.com is an expertly curated experience that distils the global beauty industry down to its brightest – from the latest scientific discoveries to hundred-year-old remedies. MXC’s MGC Derma division is a leading CBD cosmetic brand with distribution deals across a number of markets in which CBD-based products are permitted. MGC Derma is a joint venture with widely recognised cosmetics manufacturer, Dr. M. Burstein Ltd., operating in Europe, of which MGC Pharmaceuticals owns 51 per cent and retains management control. “Cult Beauty individually and carefully selects each product that is marketed through its site, so we are delighted that they have recognised the efficacy of our products which work with the body’s natural system to support the skin’s response,” Zomer continued. MXC has been riding a considerable high so far this year, having officially launched its first Derma Plus product – the Herbal Relief Cream for relief of psoriasis – with two more to come in the near future. MXC has also been one of several ASX pot-stocks to benefit from a recent legislative change that has significant implications for Australia’s nascent medical cannabis industry – the Australian government’s announcement at the beginning of January that it will allow the export of medical cannabis products. This enables MXC to sharpen up its focus on a development plan for future Australian operations, with a clear federal legislative and regulatory framework now expected to be in place as of February. The opening up of export opportunities for Australian producers means that in addition to supplying its Australian pharmaceutical pipeline, MXC will be able to expand into the sale of Australian manufactured medical cannabis products such as CannEpilTM, its adult epilepsy product. CannEpil will be launched into the Australian market early this year. MXC has a supply agreement in place with specialist pharmaceutical wholesaler and distributor, HL Pharma – a deal that is set to generate considerable annual revenues for MXC.